Let's all cheer for the first Friday of Spring! Fresh air, leaves on trees, happy birds....I'm so excited that they're all on their way! While I wait (not-so-patiently) for spring to arrive, here are some of my favorite things lately! I realize that I am WAY late to the party, but because I've got 3 rowdy boys and like, zero storage, I didn't think Rae Dunn was really for me. 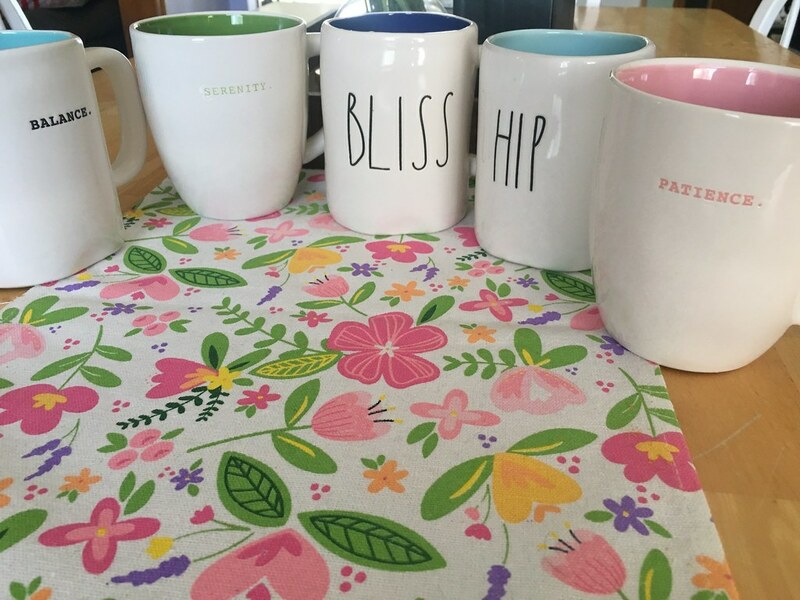 Until one day, on a Home Goods outing, I spotted a mug that spoke to me (the Bliss one), and well.....hooked forever. I make a Home Goods trip like once a week now to see what else they've got! (The thrill of the chase, amiright?) I have gotten a few other things...a platter, a bowl, a planter. But for the most part, I'm into the mugs because they make me happy on the daily! SO after struggling with my skin for a while, I did some research and discovered that my all-natural cleanser had GLUTEN in it. Gluten, you guys. I've been gluten free since the summer of 2016, and though I do not have celiac disease, I react to it when I have it. HELLO, I was washing my face with it?! No wonder!!! So I did some more research and discovered all of these awesome Alba washes, and I am already totally in love with them! 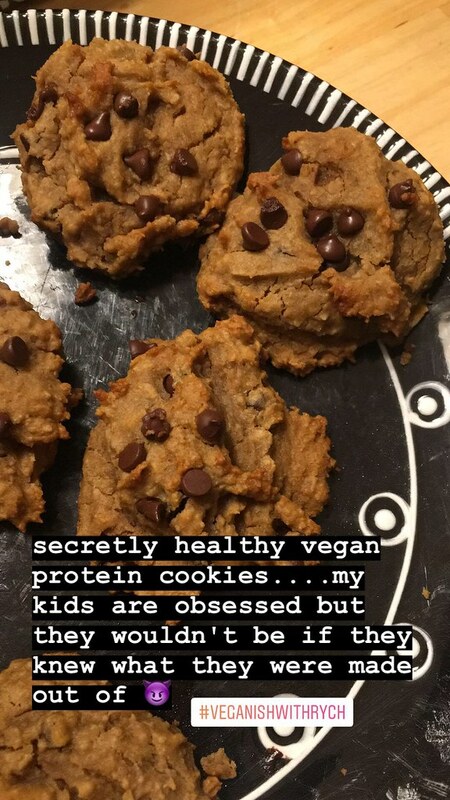 They are wonderful, and all rated super low on ewg.org - not to mention they smell like dessert! Totally a favorite. Confession: though I love snail mail and always intend to send people actual cards, I am terrible at remembering to actually do it! 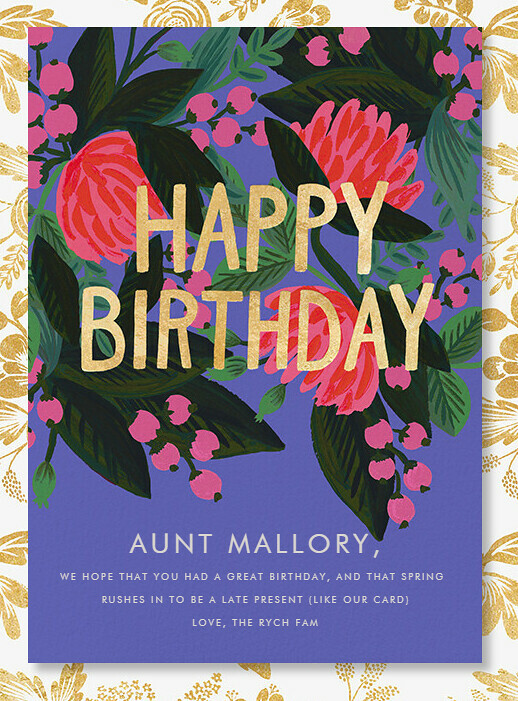 I found a site called Paperless Post recently that makes SERIOUSLY pretty virtual cards for all occasions. It's super easy to pick a beautiful style, add your own sentiments to it, pack it in a virtual envelope and a pretty liner, and email it to your recipient. You can even send the same card to many people at once (like Christmas cards or party invitations) and they all receive an email with a virtual envelope addressed to them! When they click on it, it takes them to their card with a cute little animation of their envelope being opened, and they can even respond to your card right on the site! It's super cool, especially if you need an RSVP. Check them out!! They're for sure a new favorite! Just because I eat a gluten and dairy free diet doesn't mean that I can't indulge in some health-ified treats!! 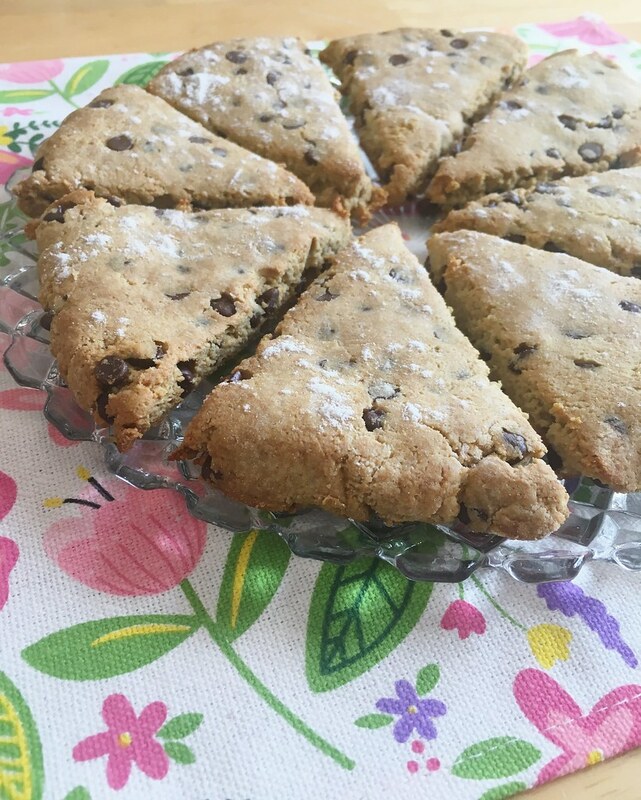 Lately I've been really enjoying these protein cookies (they're so quick and easy to make), and I made a batch of scones for our weekend fika and they were amazing. Even better cooled off! 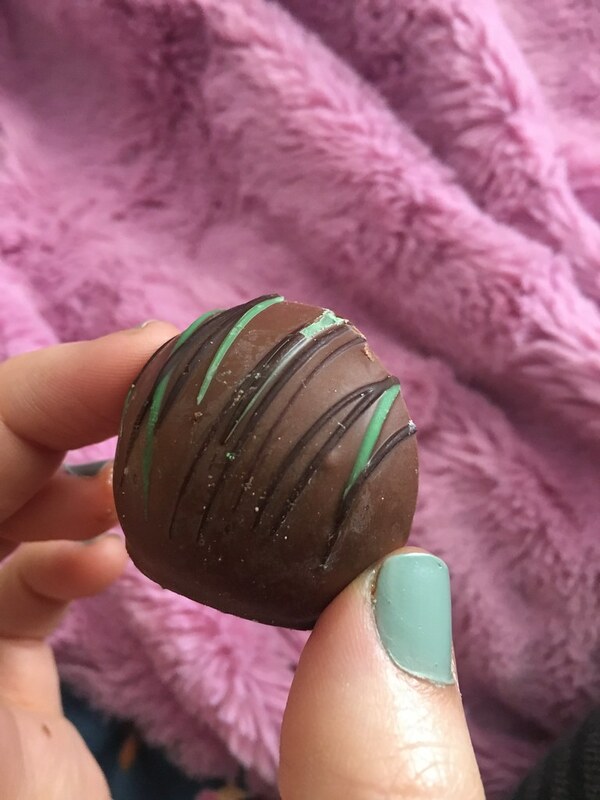 A not-so-healthy favorite is truffles from Rocky Mountain! Matt had to travel for work again last week, and he brought us a box of truffles to share when he got home. I love sampling the different flavors with him and ranking our favorites! It's an extravagant treat (especially since I'm positive they had some dairy in them), but it's not one we indulge in very often, so it's a favorite! I think I am probably sometimes annoying to my Facebook friends because I share SO MANY of my time hop pictures over and over again. I just can't get over how cute my boys were when they were teeny tiny! Henry in particular had that doll-baby look that you just cannot ever get sick of seeing! 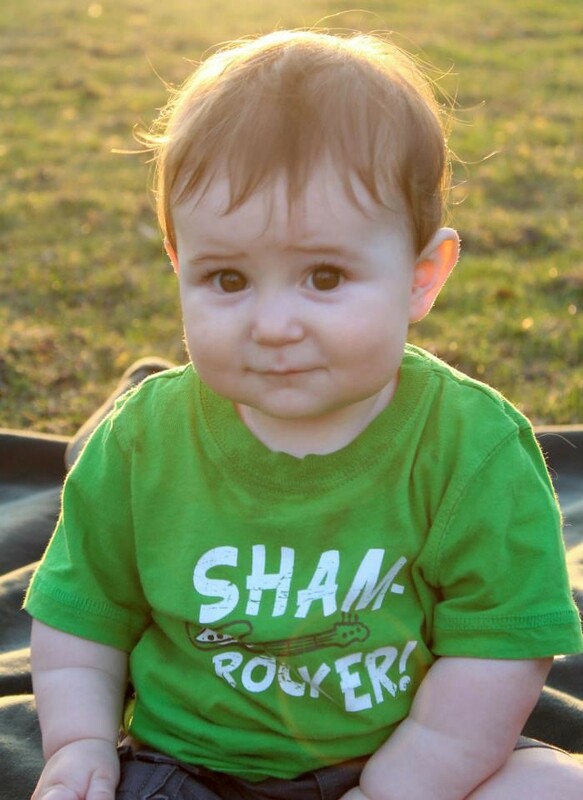 What I wouldn't give to kiss those little cheekies and see those chubby arms again! We had dinner at Matt's parent's house one night recently, and I mistakenly opened a snow pea thinking it was the kind you open and eat the peas out of. 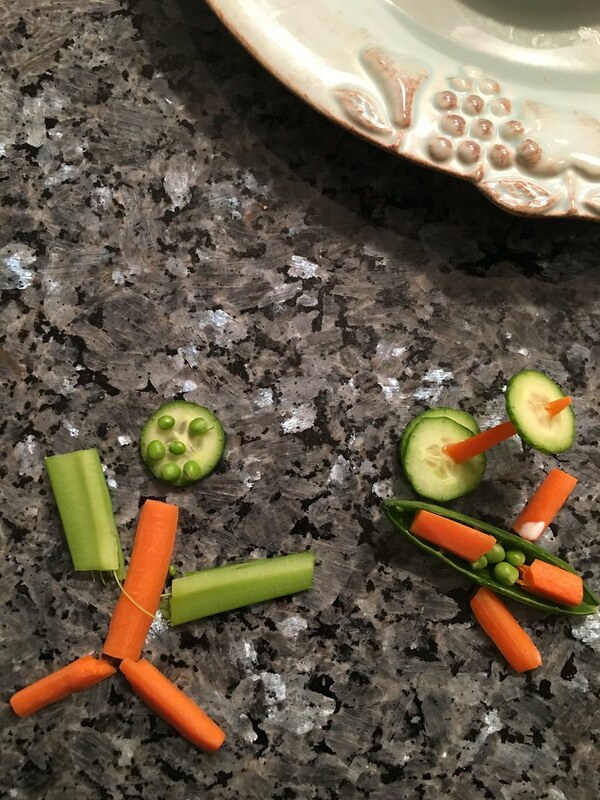 Then one of the kids dropped a piece of carrot on the floor, and I put the two together just to gather them up to throw them out. Someone commented on how it looked like a canoe, and so they made oars for it, and by the end of the night, most of the family had added their own contributions to it. It was too funny to not snap a picture of! It's my favorite that everyone kept adding onto it! I told you this green is lighting me up lately! 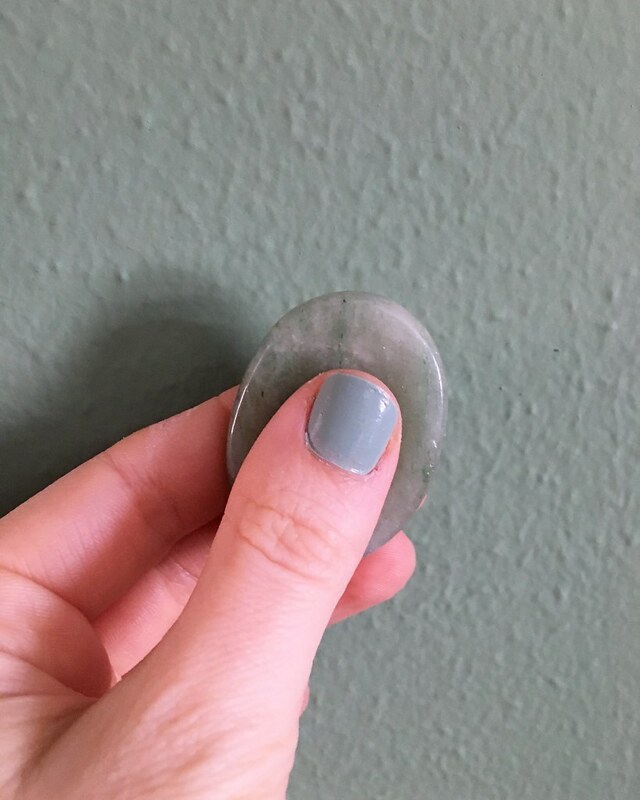 This shade is perfect for spring, and it goes on so smoothly and easily. It's totally my favorite right now! 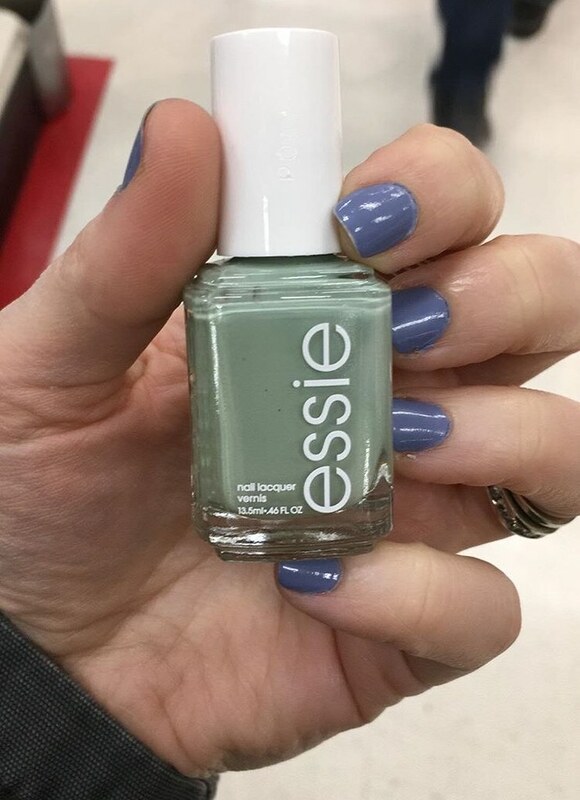 The blue shade on my nails is my other favorite - Essie's As If. 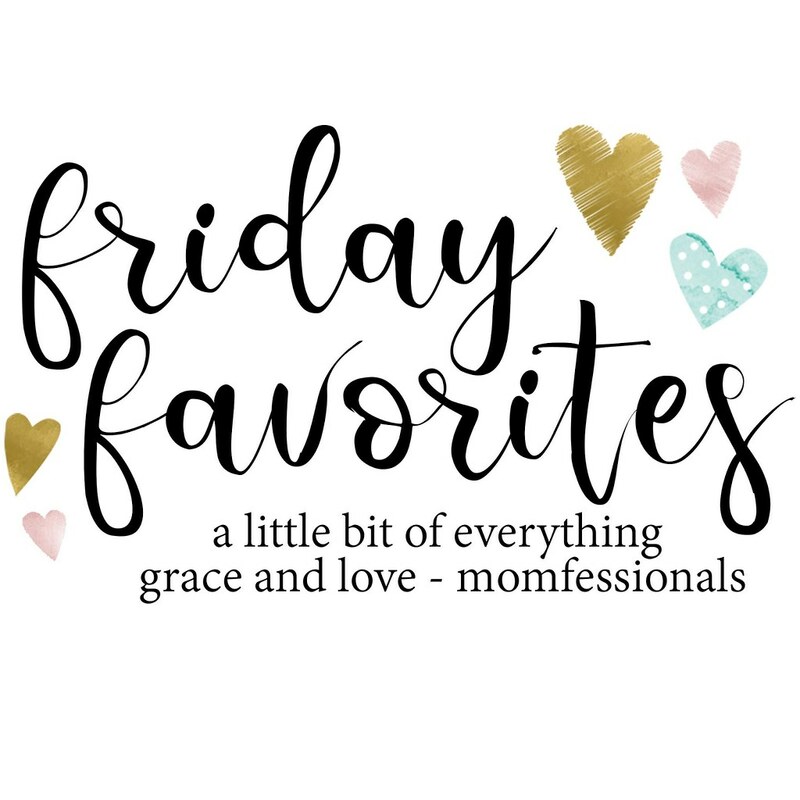 I'm linking up with Friday Favorites today! Here, here, and here. 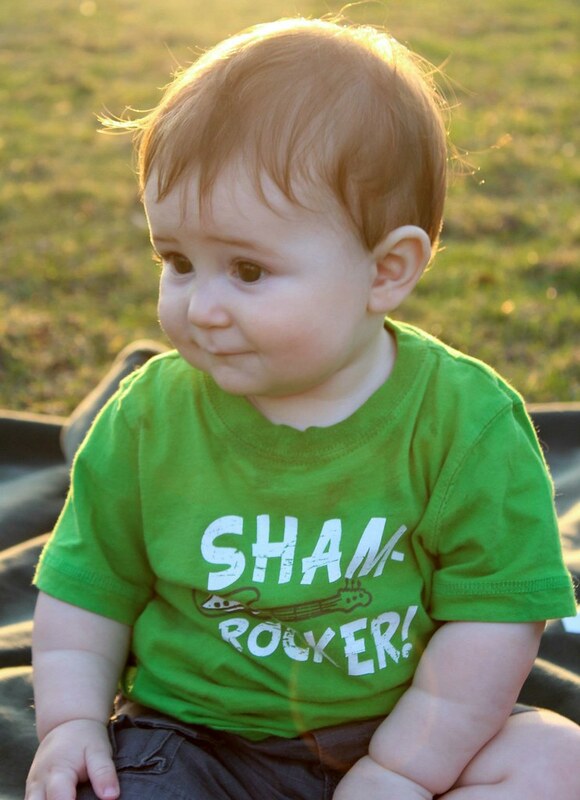 Aww, adorable baby boy! Time is such a thief! Those treats look amazing, and I never would have thought about gluten being in a facial cleanser! Glad you found something you love. Have a great weekend! Thank you!! Time is pretty cruel sometimes! ;) And I know, right? I NEVER would have thought to ask about gluten in the cleanser! Oh well, I know better now!! 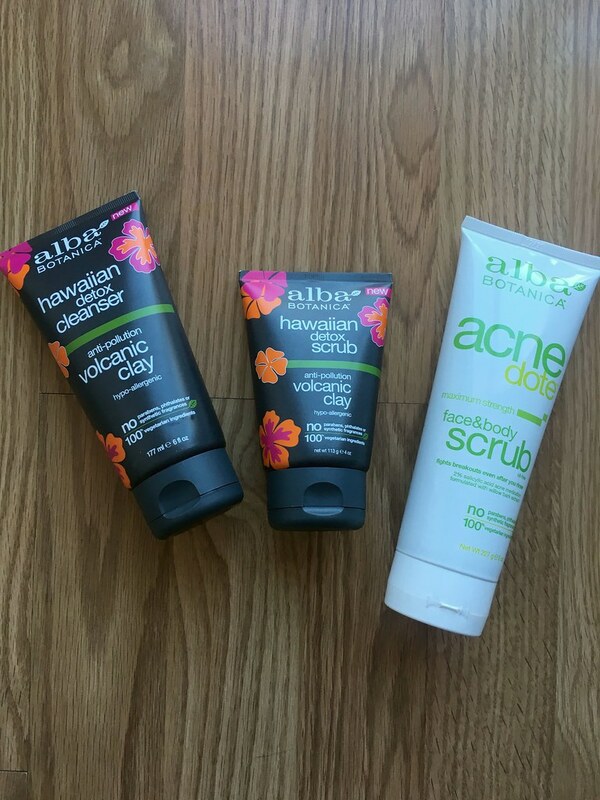 I'll try those Alba products. I've been looking for something new anyway. Thanks for the tips! Would love to see what other beauty products you like. I think I like the pore one the best! The other two smell amazing, but my face reacted to them a little!